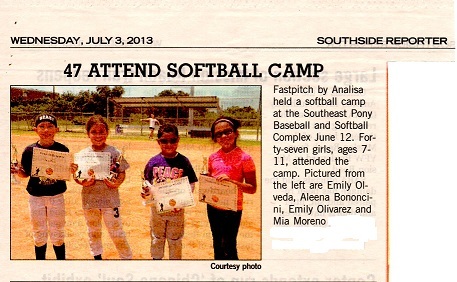 Forty-seven girls ages 7 to 11 attended the summer camp on June 12, 2013 at the Southeast PONY Baseball & Softball Complex. Special thanks to Joanne Ramon and the rest of the Southeast PONY staff for their hospitality. Camp assistants were Angel Montejano, Dominique Salazar, Ashley Hinojosa and Cece Duron - see bios. 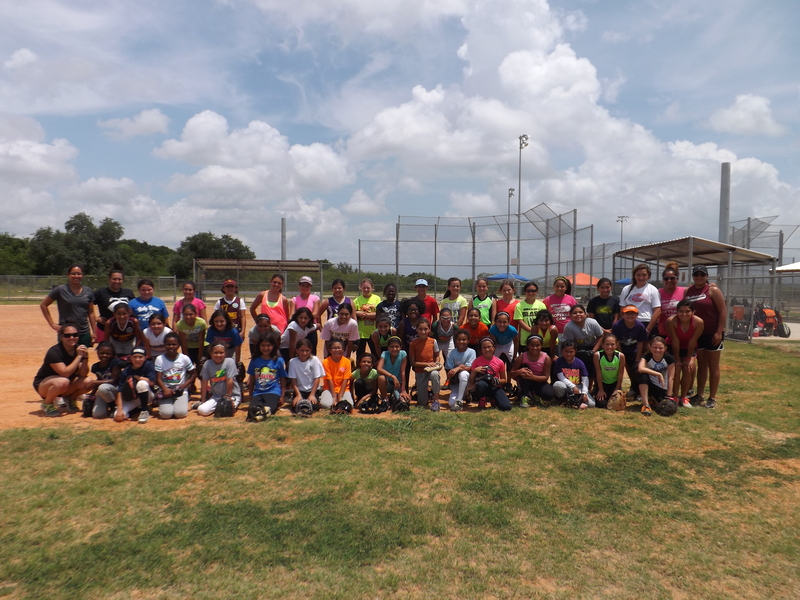 Other helpers were SA HITT players and pitchers Katelyn Corley (Antonian HS) & Tina Lopez (Medina Valley HS) and former Texas Southern University player Vanessa Vasquez. Special recognition goes to the following campers who garnered Outstanding Camper honors: Aleena Bononcini, Emily Olivarez, Emily Olveda and Mia Moreno.